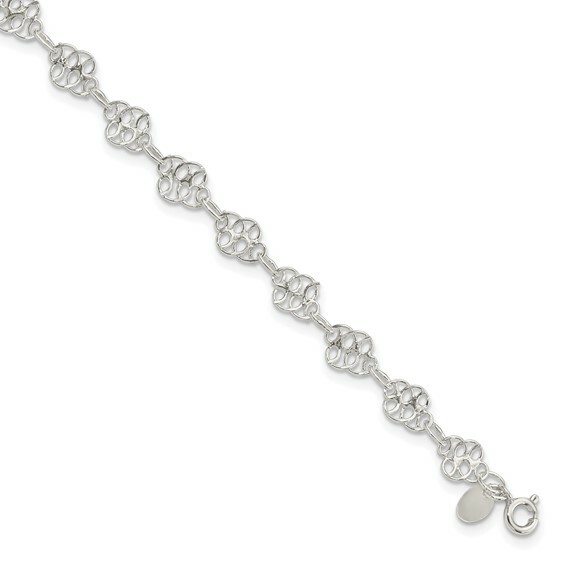 Sterling silver loop knot link anklet has a spring ring clasp. Bracelet length: 9 inches. Weight: 4.8 grams.